Maybe you’re not the type who believes in ghosts, but stories of objects haunted by evil spirits have captured our imaginations for millennia. 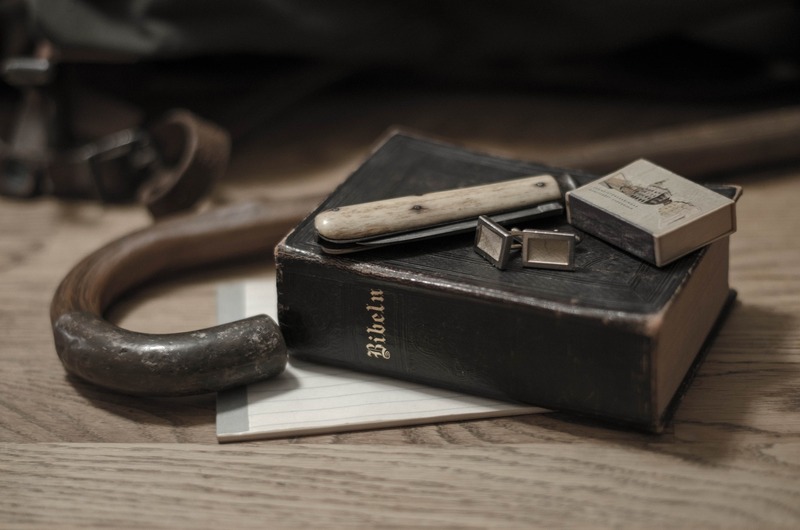 Many scientific minds point out that the unfortunate and often deadly events surrounding these objects are coincidence, or simply untrue accounts of what really happened. Nevertheless, these stories really are nightmare fuel. “The object’s weight, texture, and size reminded me of a chicken leg bone. One end of the cylinder-shaped object was blunt, while the other tapered to a point. A shiver scurried up my spine like a centipede.” — S. J. Lem, The Waterfall Traveler. An artist named Bruno Amadio painted a famous portrait of a little boy who is crying. For whatever reason, the picture became very popular in the 1950’s, and prints of the picture were mass produced. For years, people had these pictures in their houses. In the 1980’s, a house burned down, and yet the “crying boy” painting was left intact amidst the ashes. People thought that was strange, but it happened more than once. People began to think the picture was haunted, or demonic. For years, the tale of the unburnt painting was written off as a ghost story or a rumor. A reporter from the BBC looked into it, and it turns out the story was totally true–the picture was covered in fireproof varnish. A 103 year old woman passed away, and her belongings were sold at an estate sale. In her final messages before she died, she warned that she owned a box that contained a “dybbuk”, which was an evil spirit. She said that she watched over it her entire life, and that the next owner should never open the box…or else. Of course, the new buyer didn’t believe in ghosts or curses. 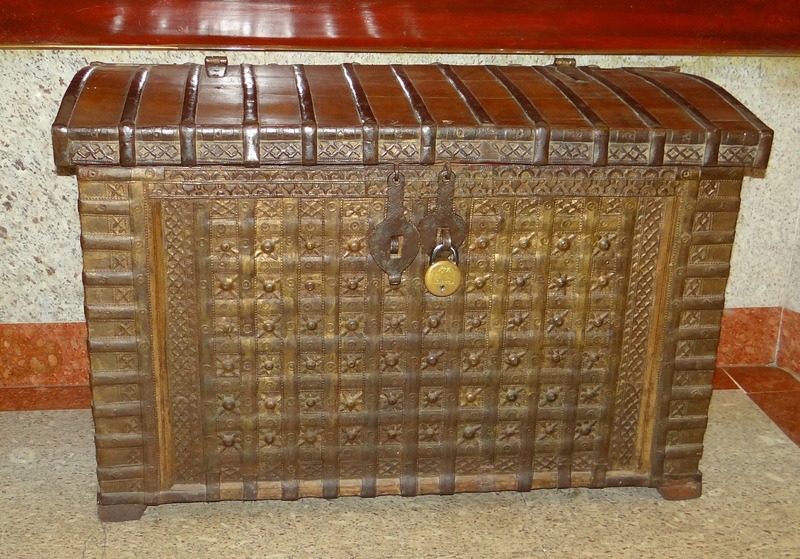 He just thought it was a cool-looking antique to give to his mother so that she could hold a small wine collection. His mother opened the box and had a stroke almost immediately after. 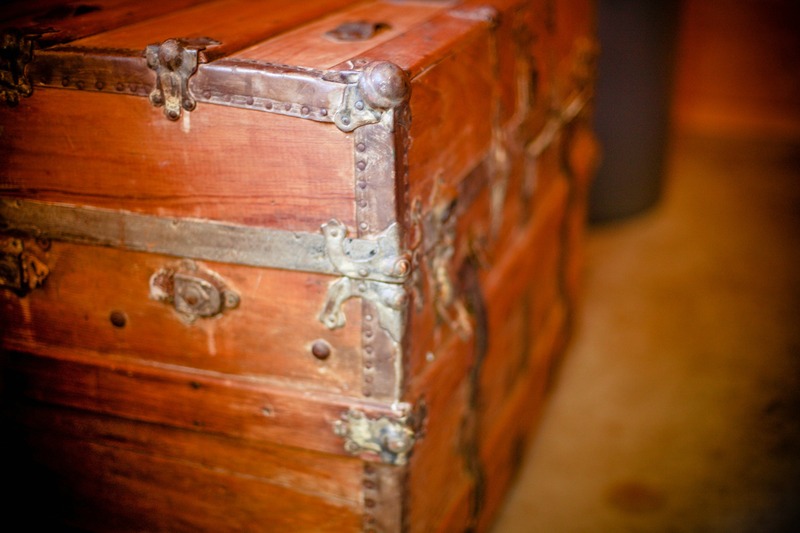 From then on, the dybbuk box gave bad luck to anyone who came in possession of it. 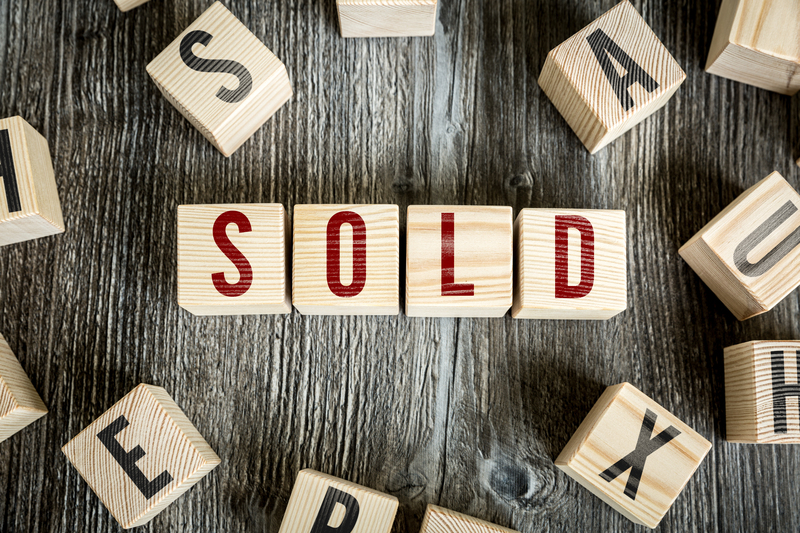 The antique dealer decided to sell it on eBay. He only got $288 for it, despite writing out the full story of the box’s curse. 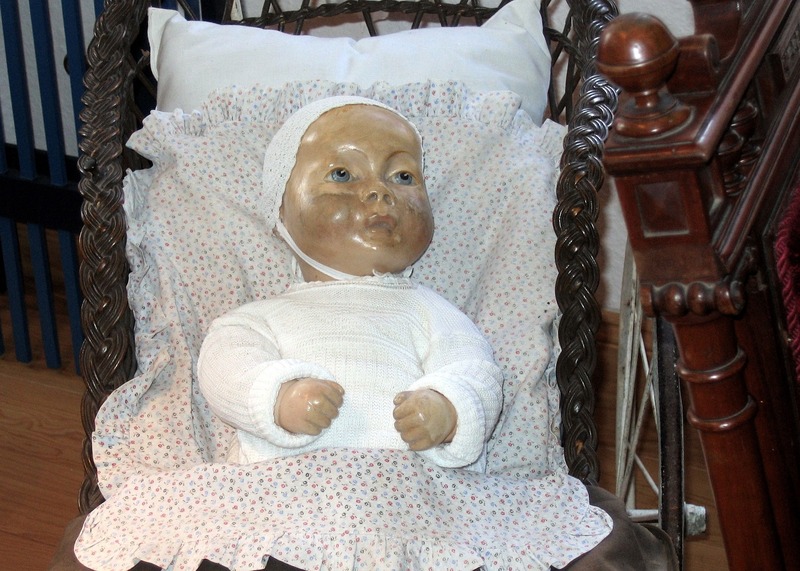 “Mandy” the porcelain doll was manufactured in 1910. She is an antique, so it’s rare to find one of these dolls in such good condition. A woman bought a Mandy doll with a crack running down the side of its face, and after buying this doll, the she would wake up in the middle of the night, because she thought she heard a baby crying in the basement. Walking down the steps, there was no one to be seen, except that the basement window was open. She shut it, and went back to bed. When the same event happened multiple times, she was seriously starting to believe that Mandy was haunted, so she gave it away to the Quesnel Museum in British Columbia, Canada. After that, she could finally get some sleep. However, Mandy wasn’t done. Employees from the museum began to notice that lunches will go missing from the fridge, only to show up in random places in the building. The same thing happens to pens, papers, and other objects. Either someone is playing a prank, or the playful ghost of a child is messing with their heads. Artist Bill Stoneham found a photograph of himself and a neighbor as children, so he painted a similar picture. However, the girl in the painting is very doll-like, and many, many hands are pressed against a glass door in the background, as if hundreds of children are trapped beyond the door. The original painting was sold to a brewery, who left it behind when they closed the business. A new couple found the painting, and decided to keep it. Once they hung it up, strange things started to happen. Apparently, the hands in the background will move, and the characters will sometimes disappear from the picture completely. They posted it on eBay as a “haunted painting”, and it sold for over $1,000. Tickle-Me-Elmo was a huge hit back in the 90’s, and as the years went on, the Elmo dolls got more advanced. 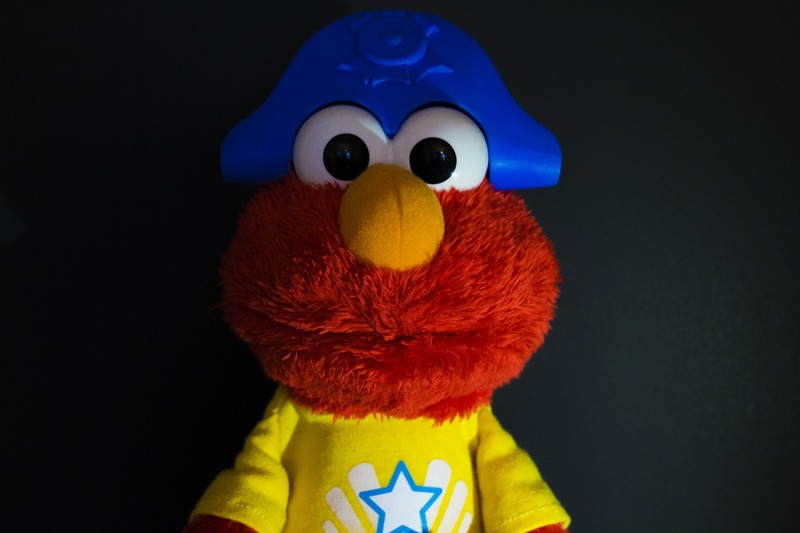 In 2008, there was an Elmo that could recognize the child’s name, and say it. However, when one family changed the batteries of the doll, it began to say, “Kill James! Kill James!” The family was so shocked that they put a video on YouTube and got in touch with local news staions. The story even made it to Fox News. So, was this some sick prank inserted by programmers, or was the doll haunted by the ghost of a serial killer? An ancient fertility vase known as the “Woman From Lemb” seems to be cursed, or haunted. Every single person who bought the vase apparently died within 6 years of owning it. It now resides in the National Museum of Scotland. Legend said that even the curator at the museum died after touching it. 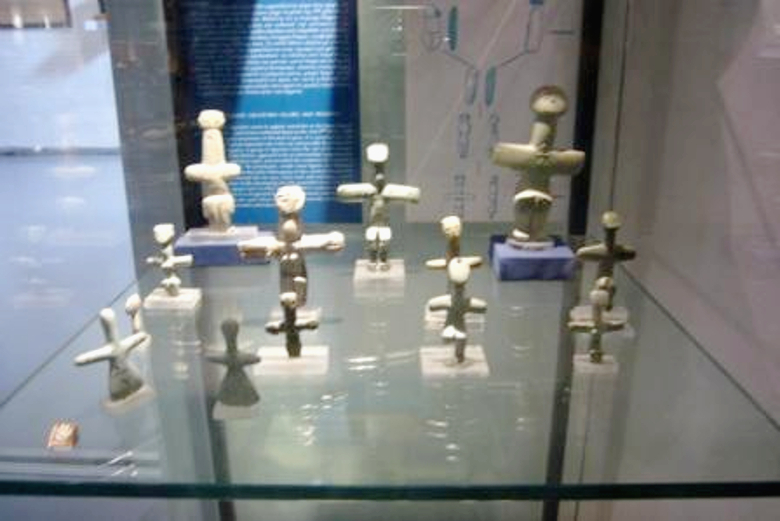 The museum denies these stories, saying they were just made up ghostly tales without any truth behind it. 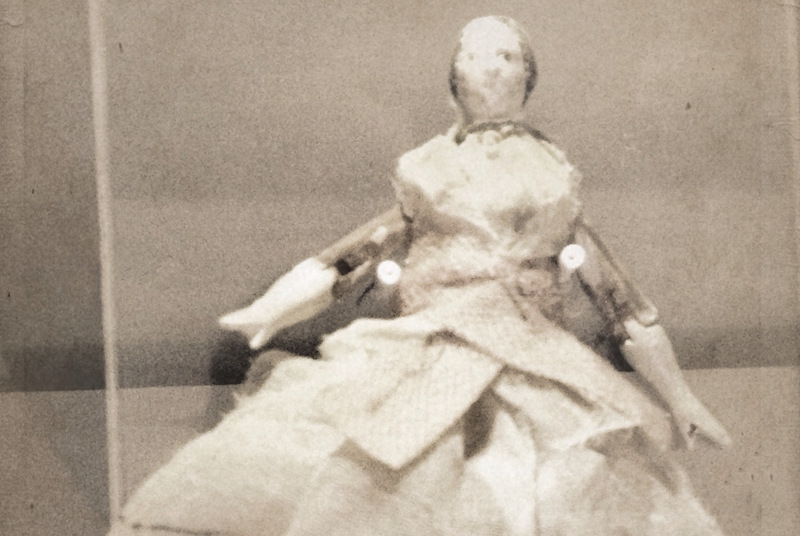 A paranormal investigator named Jayne Harris filmed a video of a large doll named “Peggy” that she claimed was haunted, and she performed a seance, trying to bring forth the ghost of a little girl. After the video went online, over 80 people apparently e-mailed Jayne to tell her that after watching the video, they began to have chest pains. Some people even had nausea and severe headaches. This is all according to Jayne Harris and people online, but you can watch the video yourself…at your own risk. Throughout England, owning skulls either to study anatomy or just as a strange souvenir was not all that weird. However, there are multiple legends claiming that these skulls would randomly start to screaming, surely scaring the pants off of their owners. People believed them to be haunted by the ghosts of the people they once belonged to. 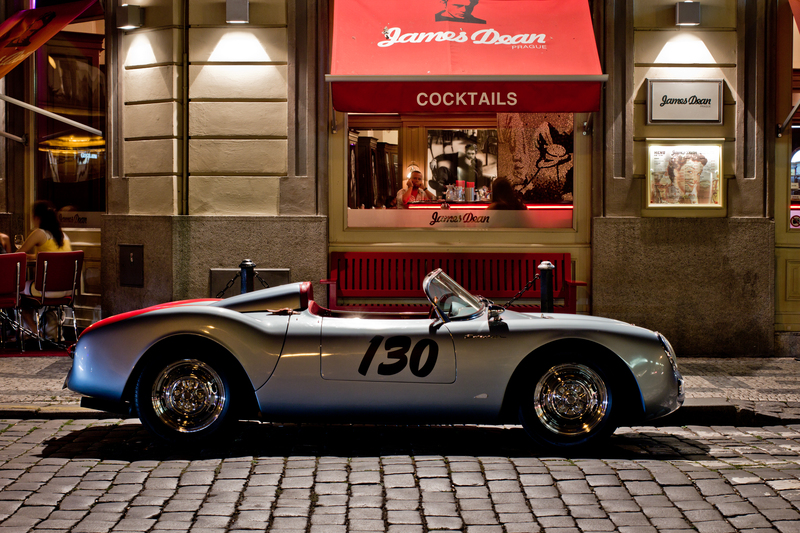 In 1955, James Dean got a custom-made Porsche Spyder. This was the car that he died in. After the tragic event, someone apparently tried to steal some of the parts off of the car. They died in a fatal accident shortly after, too. The car was donated to the California Highway Patrol, in order to bring awareness to driving safety. The exhibit actually caught fire, and one of the students at the exhibit broke his hip. In 1914, a German couple was living in Singapore. After World War I, British officials were suspicious of any Germans living in their territories, because they thought they might be spies. The parents were arrested. Their young daughter managed to escape in the middle of the officers taking her parents away in the middle of the night. Tragically, she was running away from the “bad guys” through the woods, fell off a cliff, and died. The next morning, villagers found her body while chopping wood. They called the police, and locals started to kneel and pray for her soul. One of the villagers prayed to win the lottery…and won. After that point, they believed the girl’s ghost had become some kind of goddess. In 1950, a little yellow house was built as a shrine to her. 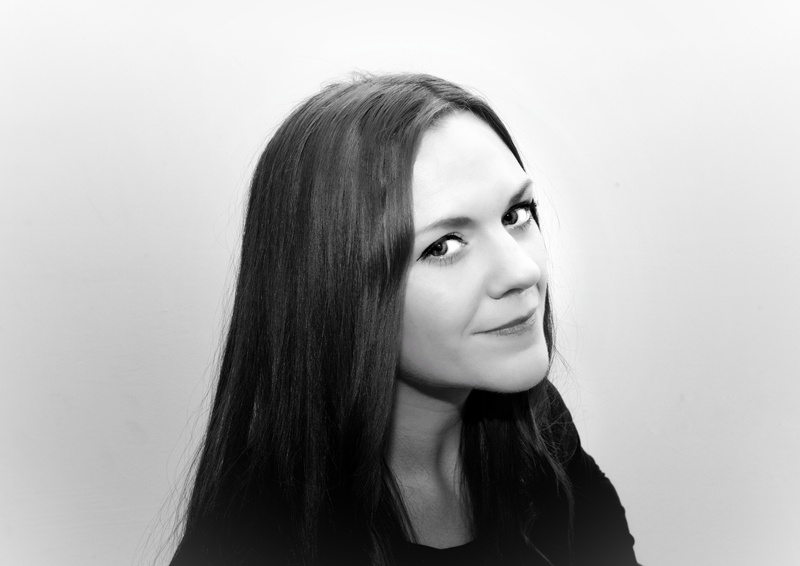 Someone had taken a lock of her hair, and a crucifix from the remains. Visitors who believe in ghosts travel to Pulau Ubin island from all over Singapore to pray to the German Girl’s ghost, and they leave behind all sorts of presents, praying that she will bless them with good luck. Her ghost was so popular that her ashes were actually stolen in the 1970’s. Many years later, in 2007, a Singaporean man in Pulau Ubin began having recurring dreams about a little white girl who was begging him to buy her a Barbie doll. She would take him to the toy store, lead him by the hand, and show him the doll she wanted. After the third night of having this dream, he decided to visit the store in real life. He was shocked to see that the doll in his dreams actually existed in the exact spot where the girl in his dream had shown him. So he bought it. He started to tell people the story, and they all began to believe that the ghost of the German girl communicated with him through his dreams. That Barbie doll still stands at the shrine as a representation of her, and some people believe that her spirit lives in the doll. A man named Thomas Busby had a favorite chair in his local bar. He had an awful temper, and he even killed somebody. Just before he was going to be executed in the electric chair, he swore to everyone that if anybody sat in “his” chair, he would haunt them…And he did. After his death, people tried to sit in the chair, and feel as if they were cursed. The owners of the bar nailed his chair to the wall a few feet in the air, just to make sure nobody ever sat in it again. Mary Anderson from Indiana came to believe that she was in possession of a haunted cane. It once belonged to father. Her son started to become scared of the cane, claiming that it was haunted. She posted it on eBay, including the story of the apparent haunting. It was bought by a casino for $65,000, and placed next to the famous grilled cheese sandwich with the image of the Virgin Mary. 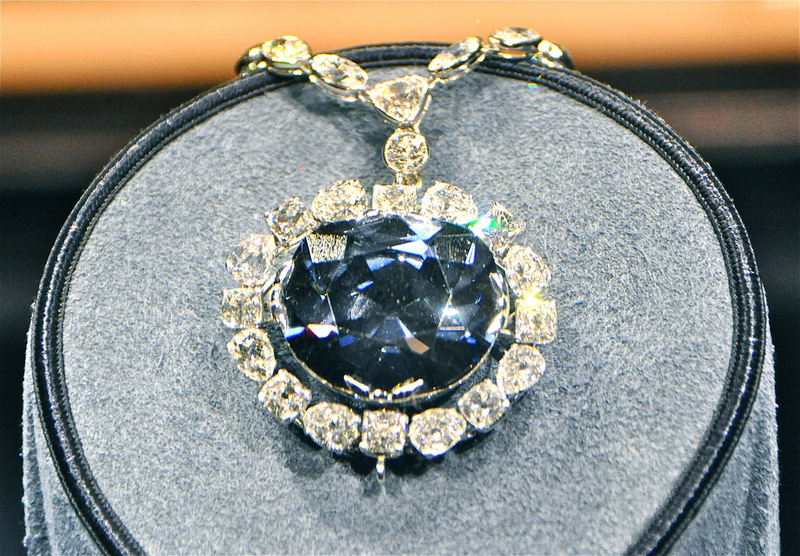 As one of the most valuable diamonds in the world, the Hope Diamond seems to carry misfortune with it wherever it goes. Many who have owned this diamond ended up getting themselves killed, with some suffering particularly grueling fates (Marie Antoinette, for example). However, one could argue that anyone who owns such a valuable object may attract envy and trouble from those who want to steal the diamond. It now resides in the Smithsonian. 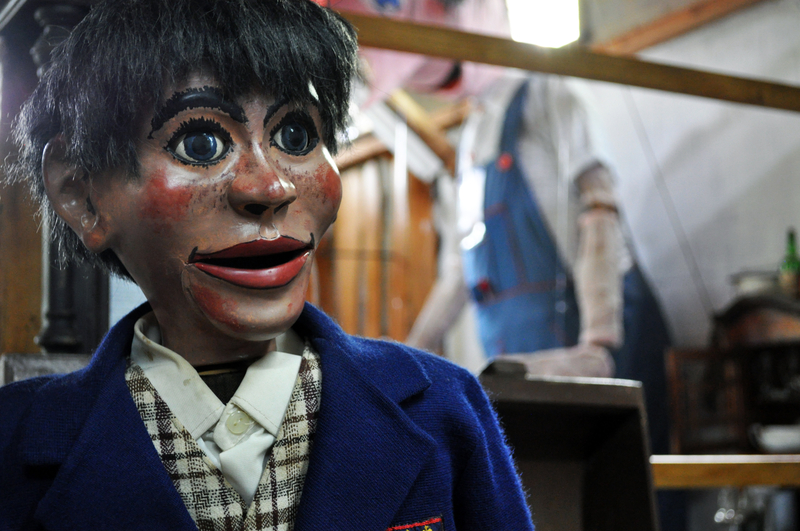 A young boy got a ventriloquist dummy, and it quickly became like his new imaginary friend. For several days, the boy would talk to the doll. His mother thought that this was a little bit strange, but encouraged the new hobby. 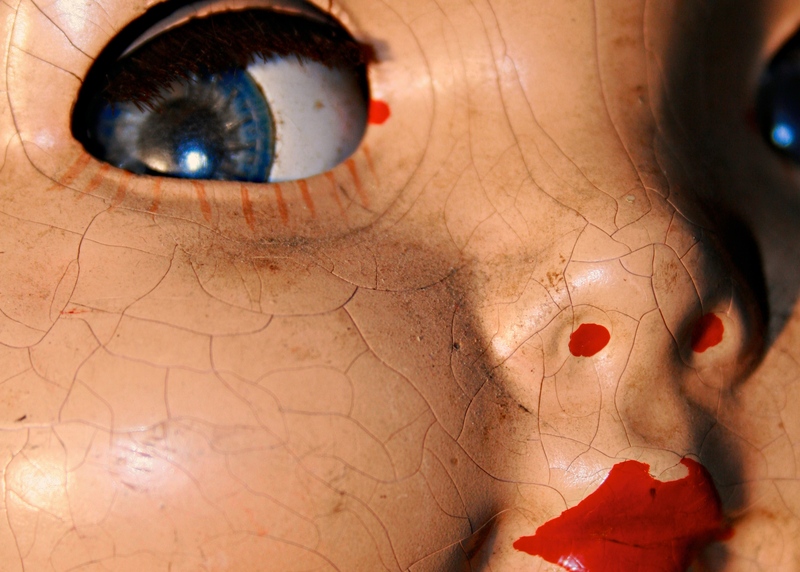 However, one day, she claimed she walked in, and she saw the doll’s mouth moving up and down, with the voice coming out–despite her son sitting across the room. She screamed, grabbed her son, and immediately called a priest to come over and exercise any ghost or demon that may be possessing the doll. 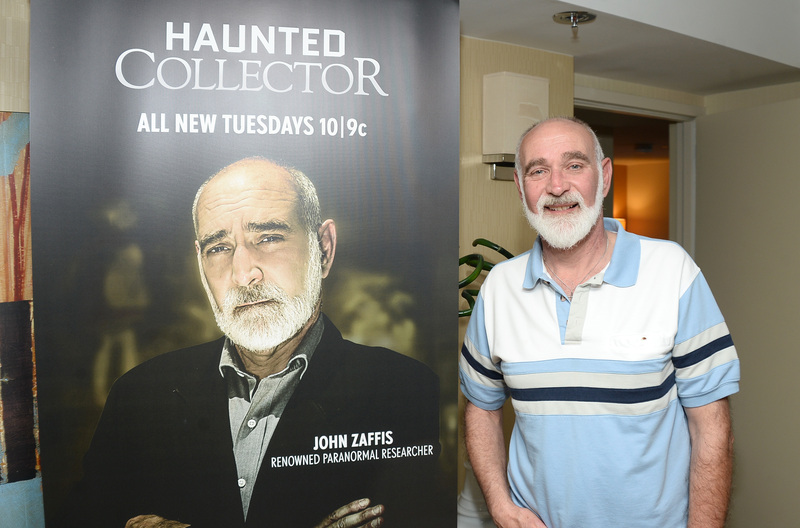 The priest called local paranormal expert, John Zaffis. John Zaffis has an entire museum of paranormal and haunted objects in Connecticut. For everything that comes into the museum, he makes sure that the spirit is “bound” to the object with holy water, so it can’t cause any hauntings. He even has apparently thrown objects in a lake, if the haunting persists. His life was so interesting that there was even a reality TV show called The Haunted Collector about his life. 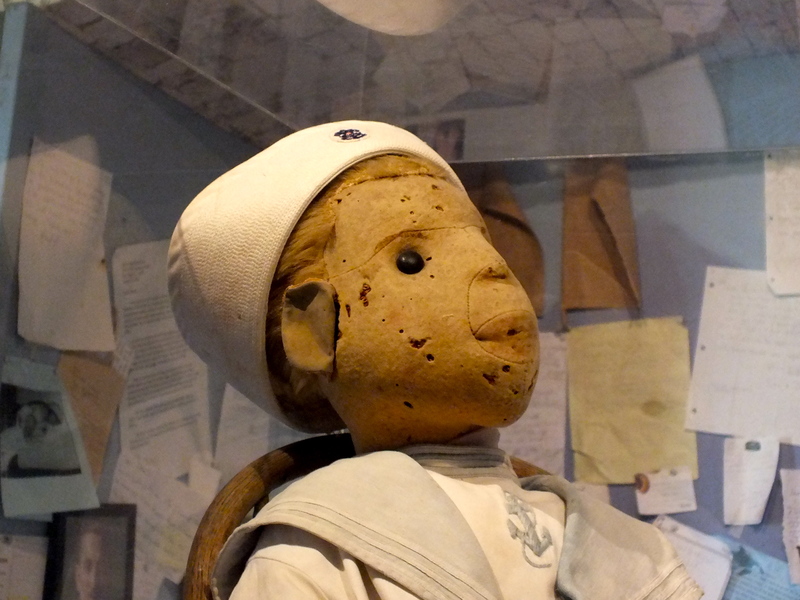 A museum in Key West, Florida, is the home of “Robert” the doll, who was created in the year 1900. His previous owner would talk to him as if he was real and kept him around until he was an elderly man. Today, anyone who visits Robert and mocks him has regretted it, feeling as though they were cursed. Many people believe that Robert is haunted. According to legend, a slave owner in the American South named Jacob Cooley told one of his slaves, a man named Hosea, to build a wooden toy chest, because his wife was pregnant with their first child. When Hosea finished the chest, Mr. Cooley wasn’t very happy with it. He beat Hosea so badly that he died. The other slaves from the house were so upset that they hired a witch doctor, or “conjure man” to curse the chest. Jacob Cooley’s first baby died as an infant. Legend has it that 17 other people who came in contact with the chest died. It ended up in the Kentucky History Museum. According to legend, a woman named Anna Baker was born into a rich family. She fell in love with a man, but her father disapproved of their marriage because her lover was not good enough for her. She had been so excited to get married, she had already bought the wedding dress. It hung in her bedroom, never worn. She grew to be an “old maid”, never getting married, and died in her 50’s. 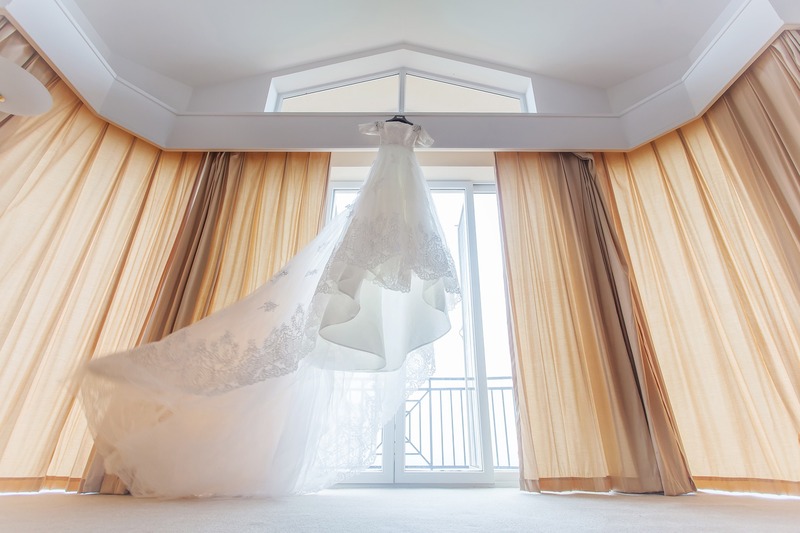 People say that the wedding dress would move, as if dancing in her phantom wedding that she never got to have. The Annabelle doll movie of 2017 was based on the true story of this haunted doll from the 1970’s. However, the real Annabelle is a stuffed Little Orphan Annie doll. The girls would find their doll had changed position by the time they came home from school. There were notes written in a child’s handwriting, and family members felt as though they were under attack. It now lived in the Warren Paranormal Museum. These “experts” in paranormal activity believe it was possessed by an evil spirit who was attempting to take over the body of one of the family members. 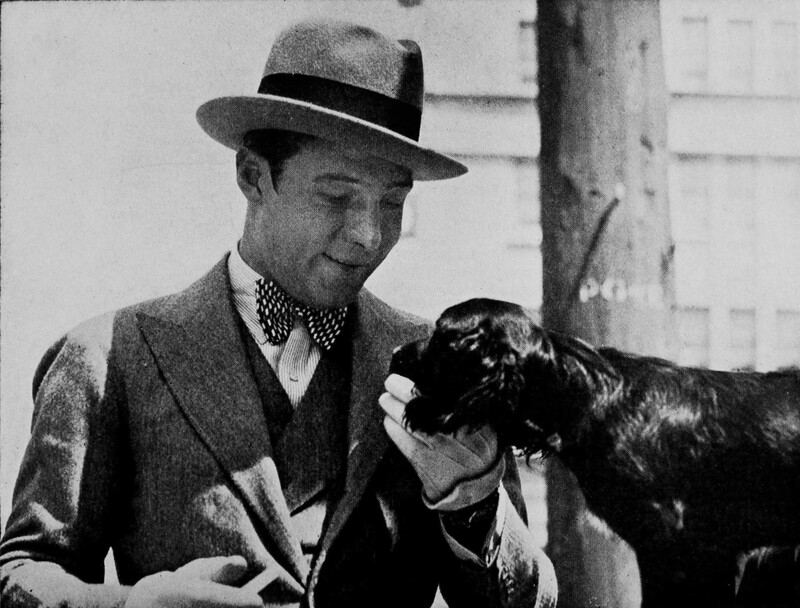 An actor named Rudolph Valentino bought a ring from a Hollywood jeweler in 1920. He allowed his friend to see it, who suddenly had a vision of Valentino dying. After that point, his career began to crumble. His movie flopped, and he generally felt as though he was cursed. Soon after, he died of an ulcer. He was only 31 years old. His sudden death at such a young age quickly spread a rumor that the ring he bought must be cursed. Years later, there was a movie being filmed about Valentino’s life. Russ Columbo was going to play Valentino, so he put on the ring, which was saved for accuracy. He died in a shooting accident only a few days after. A fearless gangster named Joe Casino decided to buy the cursed ring, probably because he thought it would make him really tough. He died in a car accident shortly after. During the 1800’s in the American South, a slave girl named Chloe was having an affair with her slave master. Once he grew bored with her, Chloe was afraid of being sent back into the fields for harsh labor. She was caught eavesdropping, and her master punished her by cutting her ear off. This forced her to wear a turban around her head, to hide this mutilation. Desperate to keep her job and stay alive, she came up with a plan to poison the family with powder made from poisonous leaves in their food- only to nurse them back to health later. This backfired when the two young children and the wife died. She felt so guilty that she told her fellow slaves. They were terrified of their master’s wrath just as much as she was, and they felt their only option was to hang her for the deed. Legend has it that Chloe still haunts the house to this very day. People have witnessed her in photographs, and in visions. 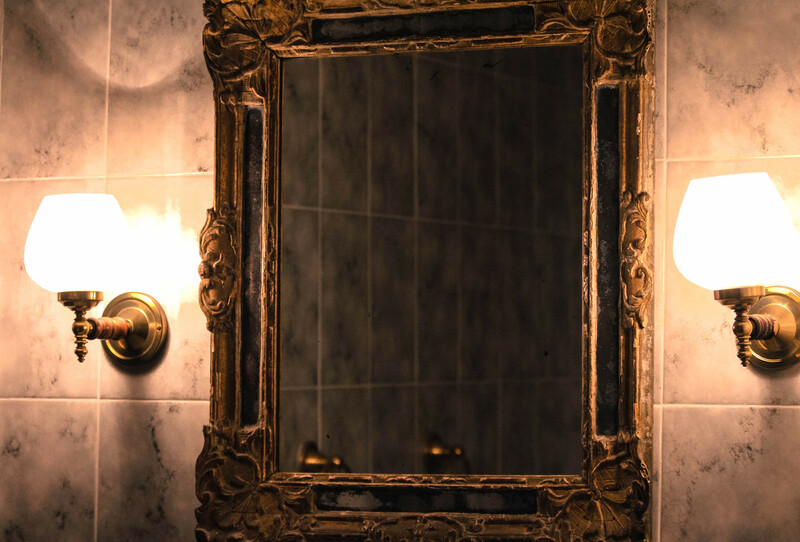 Some people also say that the spirits of the wife and children who Chole killed are trapped inside of an ornate mirror that still hangs in the home today. In 1846, a family of pioneers was traveling through trails in California. Patty Reed was just a young girl, and her parents told her to get rid of her belongings because the wagon would get too heavy. Patty managed to hide her favorite doll, and kept her as her one and only prize possession. Suddenly, the weather got really bad. The group of pioneers had to hunker down for the winter. Their group had a total of 87 people…without enough food to survive the winter. So, what do you think happened? Maybe you have heard of the Donner Party…By the time the ice began to thaw, only 48 of the people were left alive, all thanks to cannibalism. If any doll carries any amount of bad vibes, it would be this one. The doll, along with other artifacts from The Donner Party, are all in the Emigrant Trail Museum in California. 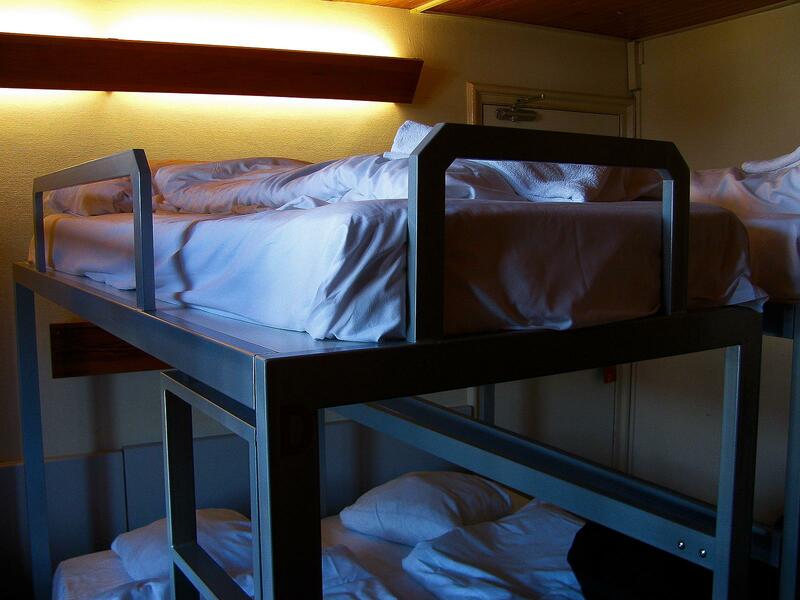 In the 1980’s a woman named Debby Tallman bought bunk beds from a thrift store. They did not need it right away, so her and her husband both stored it in their basement for a few years. When their kids were old enough to start sleeping on the bunk bed, they carried it upstairs and put it in the children’s bedroom. Immediately after the bed was moved, the kids became very sick. The radio would randomly turn on, and other strange things began moving in the room. One night, both of the kids woke up screaming. When their parents asked them what was wrong, they said that they saw a witch. They asked a priest to come over to bless the beds, just in case. The final straw was when Debby’s husband, Alan Tallman, came home from work one day. He heard a voice say, “Come here.” He thought it was coming from the garage. He opened the door, and saw that it was on fire. 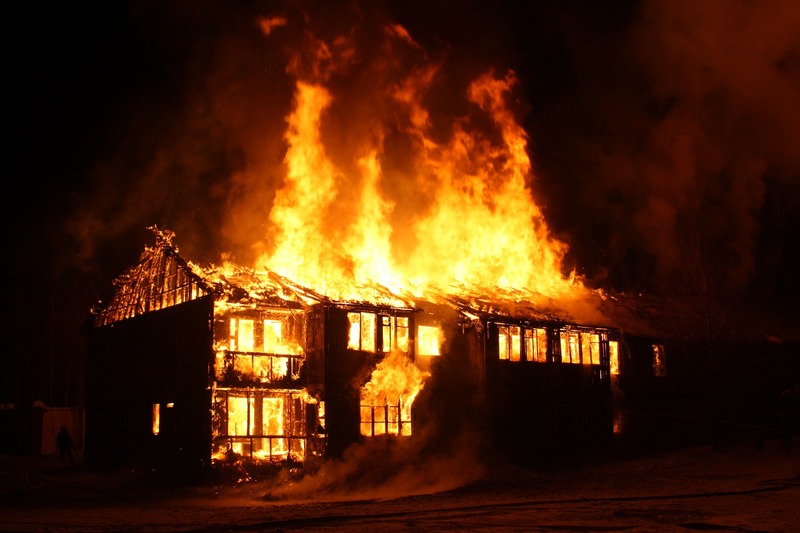 He ran back to the kitchen to get the fire extinguisher, and ran back to the garage…There was no fire at all. After that, the couple took the wooden bunk beds outside, and set it on fire for real. They never had a problem after that. Their story ended up on an episode of “Unsolved Mysteries”. A man named Sean Robinson was cleaning his grandmother’s house after she passed away. 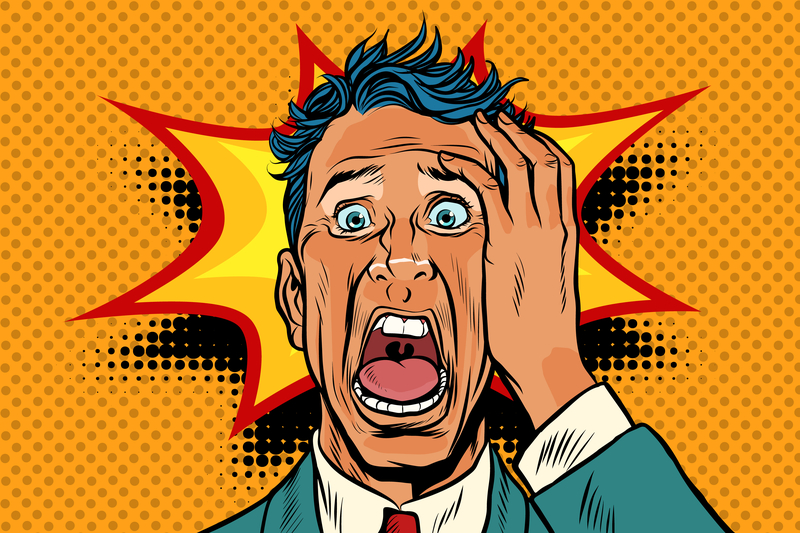 He found a seriously scary painting, called “The Anguished Man.” Apparently, it was painted by a man who was about to commit suicide, as a representation of how he felt inside. The red in the painting was his own blood. 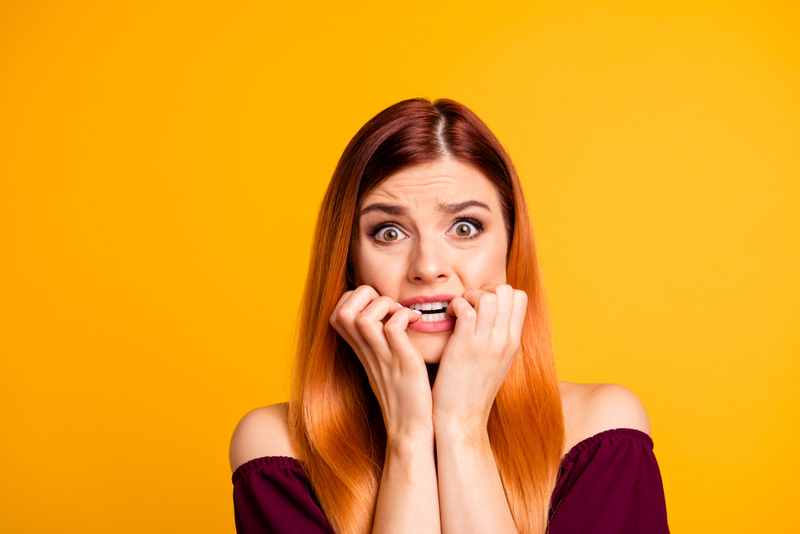 If Robinson is to be believed, shortly after he bought the painting her started to hear strange noises in his house after he brought the painting home. He decided to set up a camera overnight in the room with the painting, to see what was going on. Sure enough, you can hear scraping sounds, almost like someone dragging their feet across the floor. The door swings shut, and an object falls. The video is on YouTube, and it got the attention of a few paranormal groups, who requested to study the painting.